Reading, Gaming, Team Games, Health, Psychology, Business, Philosophy. Does this profile seem dusty to you? Don't be rude to the admins or they will have to report admin abuse. Lol. Bob Lee Swagger reporting for duty! You're fun to team up with in DayZ, looking forward to partaking in more shenanigans soon with ya. Welcome to the ADK forums. I believe I've seen you around on Panthera. Looking foward to doing battle someday! Hello Fate, we meet again! Haha. Had some good times in DayZ (Chernarus 2) the other day. I shall see you on the field! 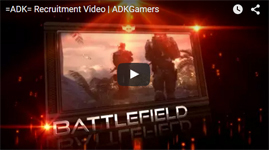 Welcome to the ADK site/servers. I have done this once before a while back but I'm recently getting back into ADK servers. I enjoy long walks on the beach in Chernarus and having fun. If anyone wants to team up or needs help in DayZ just let me know. I play usually as Zombie Herder / Heroic-Gerbal. - Brayden. Yes! Mist server was awesome man. Flew my first heli on that server and almost killed you haha. Good times. Happy to be back on DayZ. (Heroic-Gerbal) I'll give you my blood, but not my beans.